At Fender Marine Construction, we have established ourselves as the company to turn to for anything dock related in Orlando, Florida. We can build, design and repair docks of all shapes and sizes. 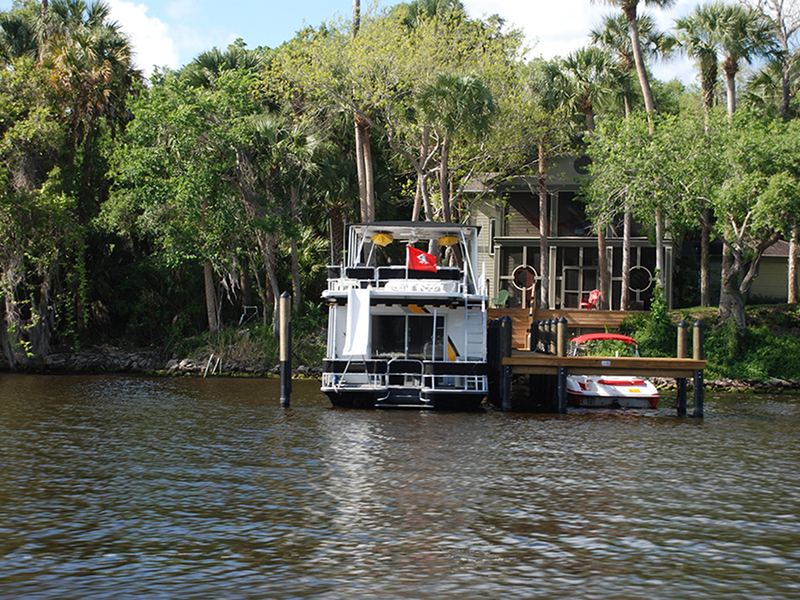 We have been designing and building residential and commercial boat docks throughout Orlando, Florida since 2001. Our “Silver” boat dock design is an extremely strong and attractive basic dock model. It is the economical version of our other popular “Gold” and “Platinum” dock designs. The basic “Silver” dock comes with a 3 year warranty. Each design plan is created to provide you with a fully functional and convenient dock that fits your needs. If you have a plan for a dock in mind, let us help you built it. At Fender Marine Construction, we design and build custom docks with your desires and specifications in mind. The main difference between the custom and basic docks we build is the design process. With our basic docks, the plan is already determined. 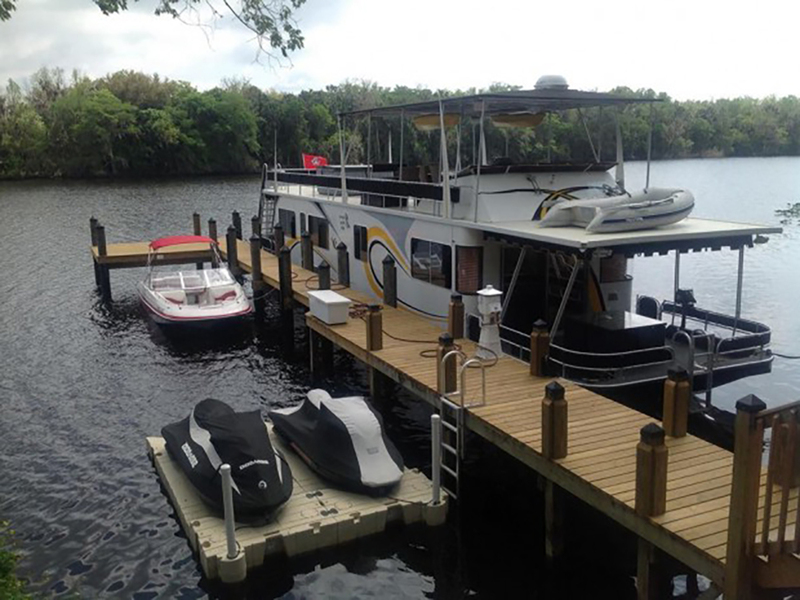 When you have a custom dock built by us, we will come up with a plan for its structure, materials, and purpose with your input and assistance. A dock is the perfect access point for a lake or the ocean, whether to access the water for swimming, fishing, or boating, so if you are planning a commercial dock construction project, make sure you give us a call before you start. We have years of experience with commercial dock construction and are familiar with local building codes, so we will make sure that everything we build is secure and meets all requirements. A dock provides the property owner with an access point to the lake or ocean. We have years of experience designing and building custom docks for residential and commercial docks. Fender Marine Construction also specializes in basic docks, custom docks, floating docks, boat docks, commercial docks and dock repairs. 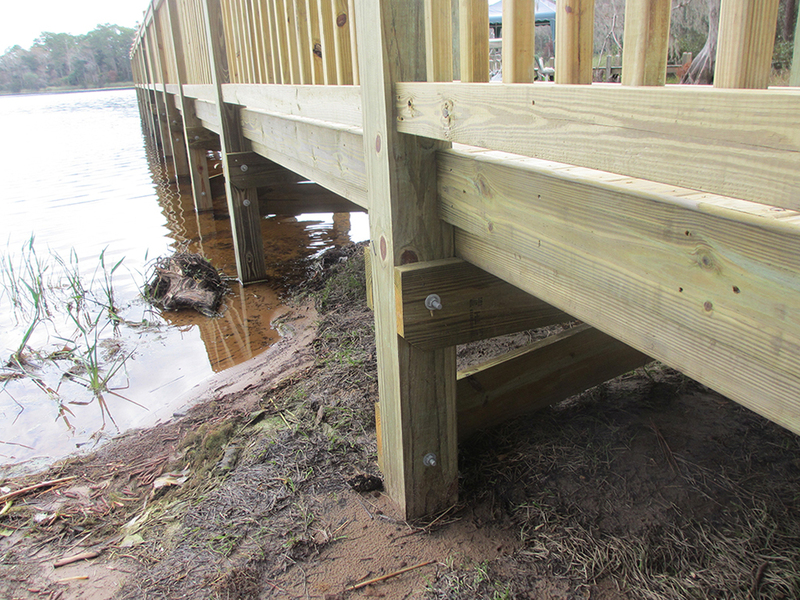 Our basic docks contain pressure-treated southern yellow pine piles, along with sturdy metal bolts and screws that keep it firmly in the correct position. This is called the “silver” dock and comes with a 3-year warranty against any defects. When we build docks at your home or business, we can connect them to covered patios, boathouses, or other elegant features that make it easy to enjoy time together while out on the water. You can even add a table and chairs and start eating your meals outside. 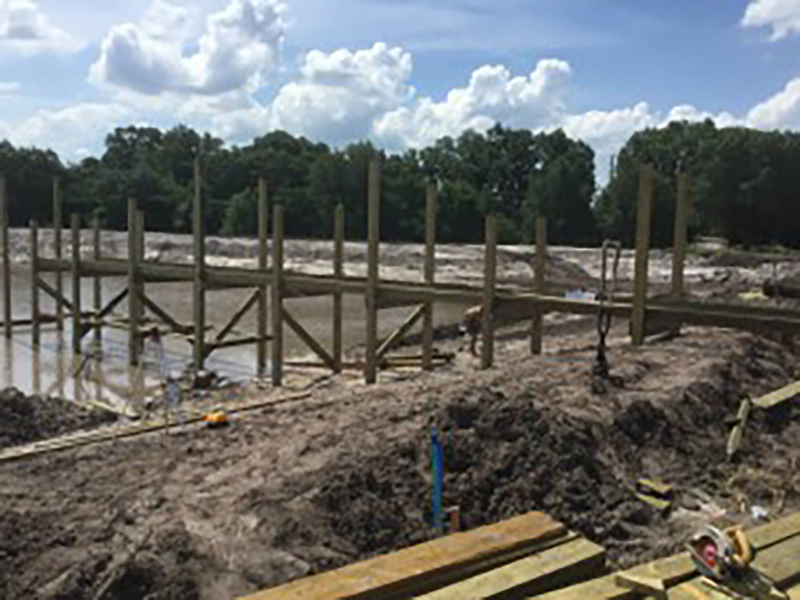 Basic docks are affordable in just about any budget, and our construction team has plenty of experience with building and installing these docks. 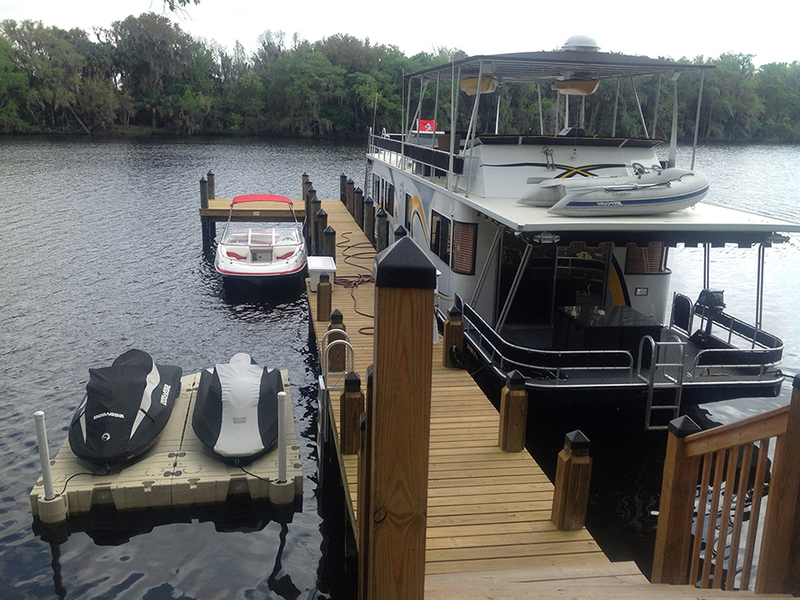 In addition to building basic docks within Orlando, we also offer service to those in Central Florida and throughout the state. If you have a property that sits on the water but you aren’t utilizing this wonderful benefit, we can help by creating a unique dock that you and your family can use for years. 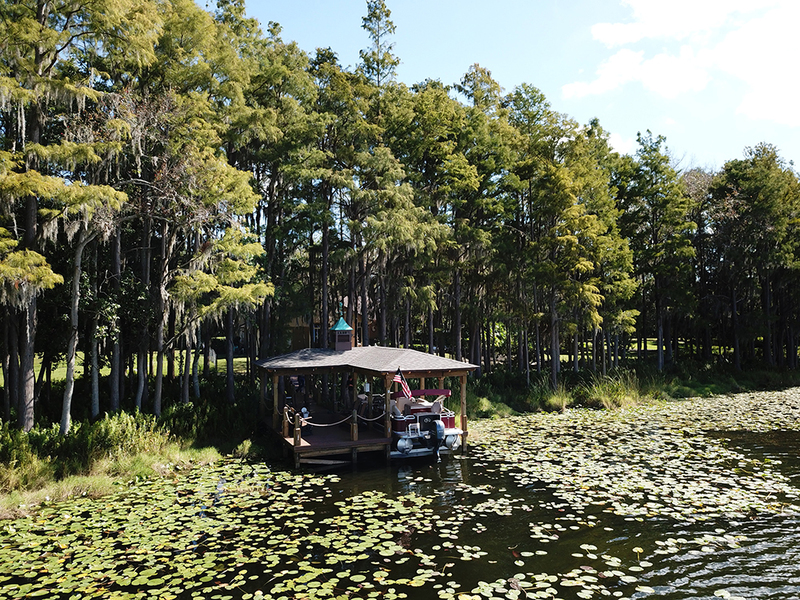 Having your own private dock into a lake is a unique option that many people in Florida have taken advantage of by adding docks to their properties. So you can relax in the sunshine with a good book on your dock, or dive into the water below on a warm summer day. 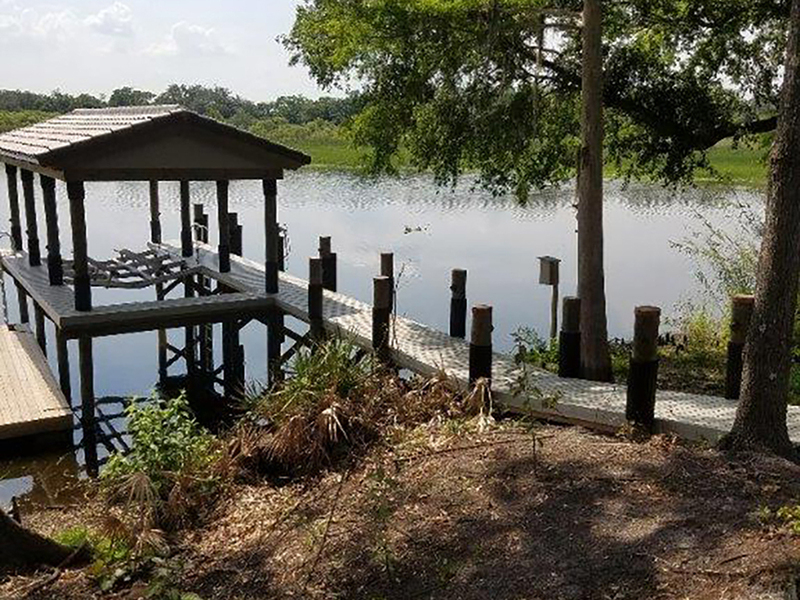 Fender Marine Construction offers custom docks for your commercial or residential property in or near Orlando, Florida areas. We are a local business, so we understand the various climate requirements and restrictions that we face here in Florida. When we build your custom dock, we will discuss any concerns you might have before we start. We want to make sure you have a great experience when you call us for custom docks. Customer service is our top priority! We offer a variety of building materials for custom docks including steel, concrete, wood, fiberglass, aluminum, and vinyl. We also offer green materials such as fiberglass framing, recycled decking, and renewable wood. Since there are frequent hurricanes and other storms in this area, we want to help you choose the safest materials and design for your custom dock to keep it standing through the elements. If your custom dock requires a permit, we will make sure to get those issued and approved before moving forward. Here at Fender Marine Construction design and build residential and commercial docks. 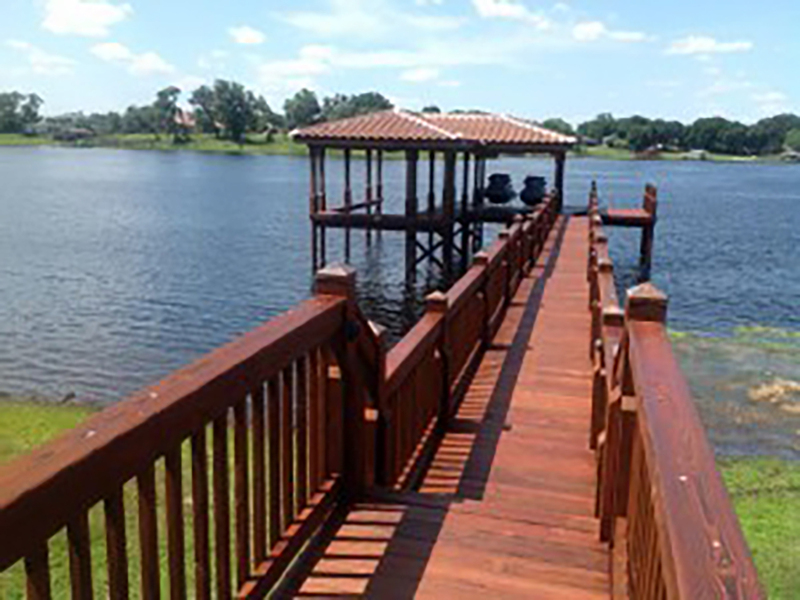 Our contractors are known for customizing high quality and durable docks. We specialize in the repair and construction of residential and commercial docks. 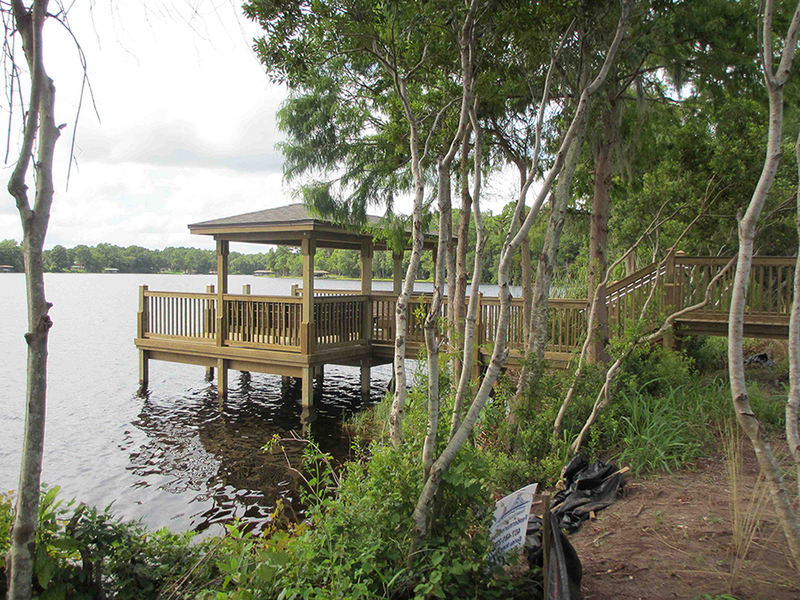 Our team of expert contractors specializes in designing docks that meet your needs. We strive to give you a design that you can visualize before we even begin building. We will handle all phases of your project- from design, building, installation, to inspection, we’ve got you covered! We are prepared to handle any job. We can assure you that our contractors at Fender Marine Construction will handle every aspect of the project professionally and efficiently. Our contractors are also fully licensed and insured! A boat dock is a key component of any marina, allowing boaters to get in and out of the water easily. Our experts can design and build you a sturdy and functional boat dock that will provide a safe area for loading and unloading. You can choose from various materials and styles, whether you want a floating dock or a fixed dock, or a stylish and luxurious style of dock that appeals to higher-end clientele. As you consider what type of boat dock you might like to have, think about the benefits of each. 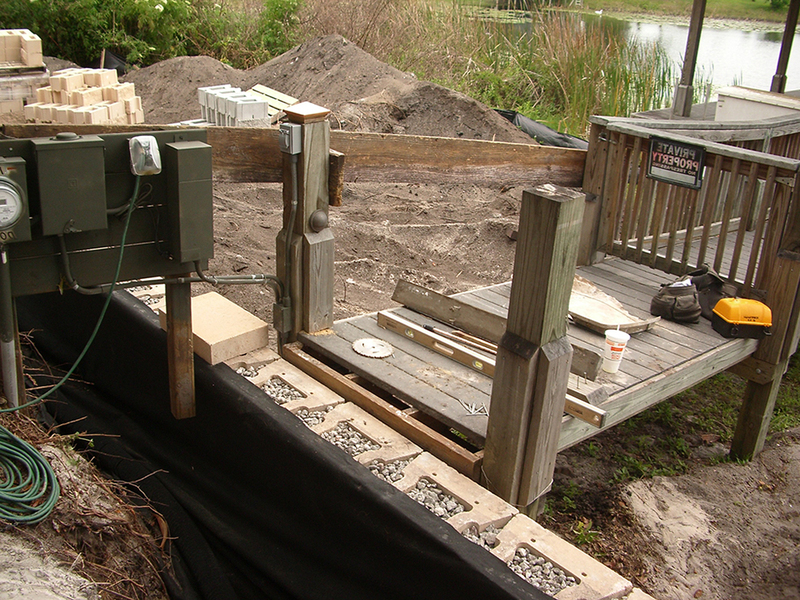 A basic boat dock is smaller, made from pressure-treated southern yellow pine piles, and sits on top of the water. Sturdy metal components beneath the dock keep it from deteriorating, and our team of experts will firmly attach it in the correct position. We also carry upgraded models of boat docks, which are typically larger and sturdier for additional foot traffic. If you have a commercial marina, a higher model of boat dock will benefit your business. When we build your boat dock, we can also build a matching boathouse, which is a great place for customers to store boats when they are not in use. You can charge for storage space, increasing your revenue, and provide the convenience for boat owners to keep their boats on the water, instead of towing them home and drying them out after every day on the lake. Floating docks differ from traditional docks because they are anchored to the bottom of the water using vertical poles. 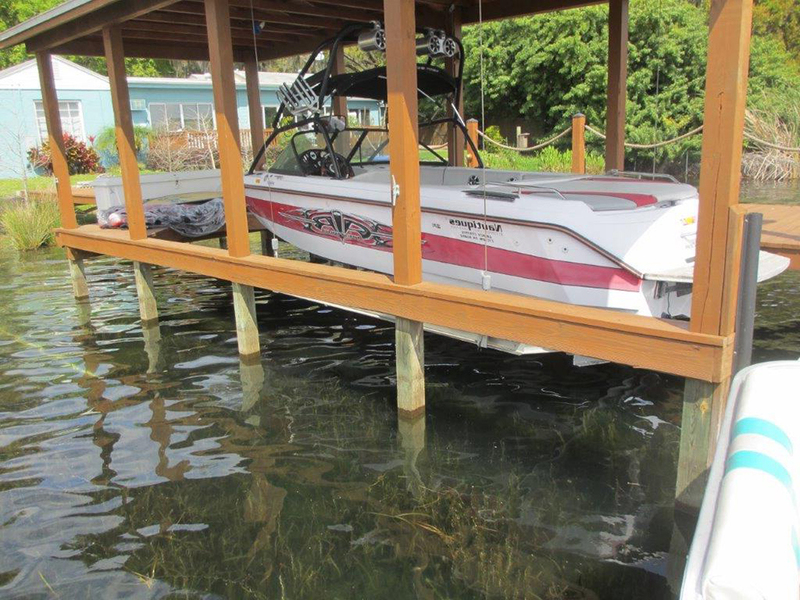 Larger floating docks often have a ramp attached, which generally rests on the shore. We are the #1 place to turn to with questions for anything related to docks. 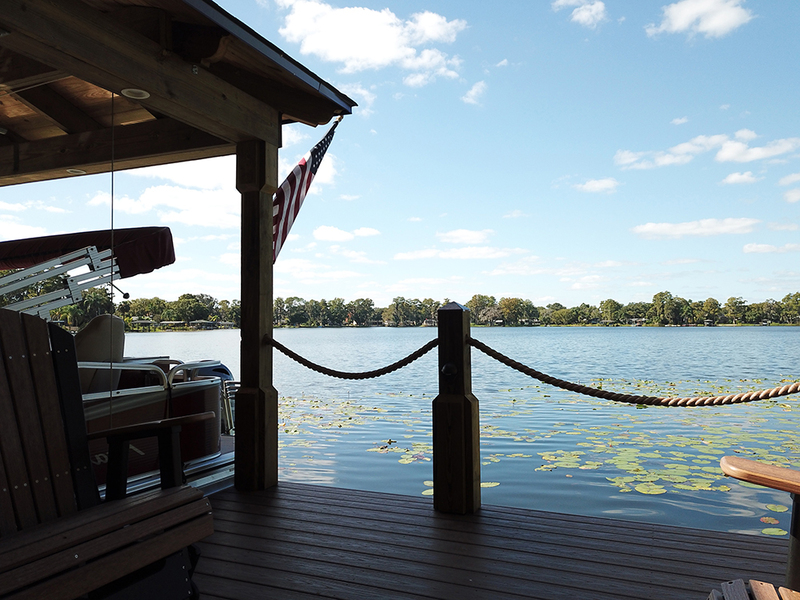 If you aren’t sure whether a floating dock or a traditional dock is right for your Orlando, Florida property, we are happy to help. Without a boat dock, you may not be as likely to go out on the water. So If you don’t already have a boat dock, let us design and construct a new dock with your assistance. We only use the most advanced marine construction strategies and the highest-quality materials in order to construct docks that are highly functional and last for many years to come. We guarantee that the boat dock we build will add value to your property and enable you to use your boat more often. A floating dock is buoyant, so you can walk across it safely without worry. Floating docks typically have nonslip surfaces, which also make them safer even if they get wet. The nonskid surface and stability make it easier to get in and out of boats on the water. Another benefit of floating docks is their fixed nature, which prevents boat owners from having to worry about additional slack line or moving bumpers when the tide shifts. 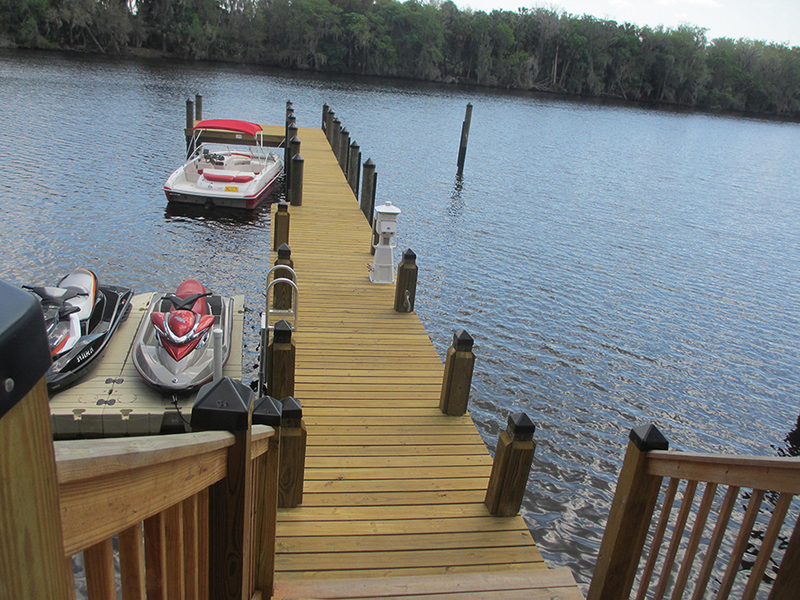 If you choose a basic wooden dock, it will require a lot of upkeep, and you will have to replace it frequently. Floating docks come in various material options, most of which are much sturdier and more durable than traditional wooden docks. 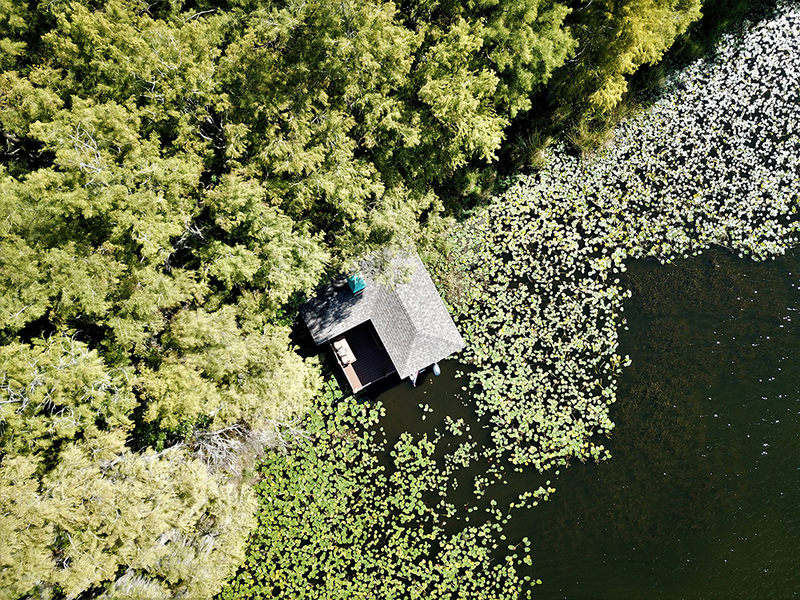 A dock or deck makes it easy to get in and out of the water, whether for boating, fishing, swimming, or just enjoying the view, so keeping it in good condition is important to keep your family and guests safe. If your dock is made of wood, it will probably need more dock repair over its lifespan than a dock made of sturdier materials. Wood docks are more susceptible to rotting and deterioration, which can make it unsafe to use. Dock repair pricing will depend on the location of your dock. One that is difficult to access will cost more when you factor in additional labor to move materials across a lake or other bodies of water. If the water has certain traits that make it more corrosive to dock materials, you may have to pay more for durable components that will withstand salt, chlorine, or other types chemicals or bacteria. You will also need to consider the flow of the body of water, such as the tide in the ocean, when you choose how to repair your dock. 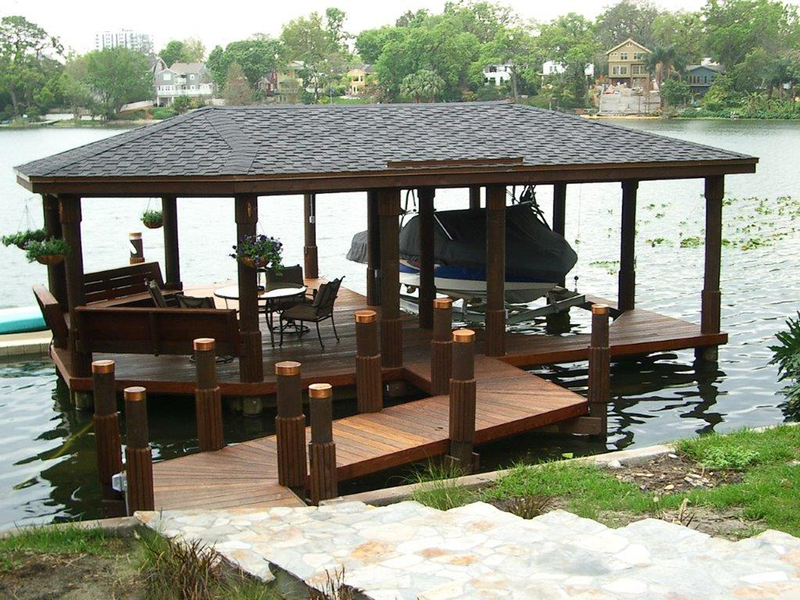 Here in Orlando, Florida, we get quite a bit of rainfall, so choosing a dock material that can withstand the elements will also save you money in the long run. You may need a new deck construction or some very much needed deck repair. Either way, Fender Marine Construction has the experts you need to do the work. Just like our docks, our decks can be customized to your liking while also functional. We also specialize in deck repair and deck replacement on both commercial and residential properties.